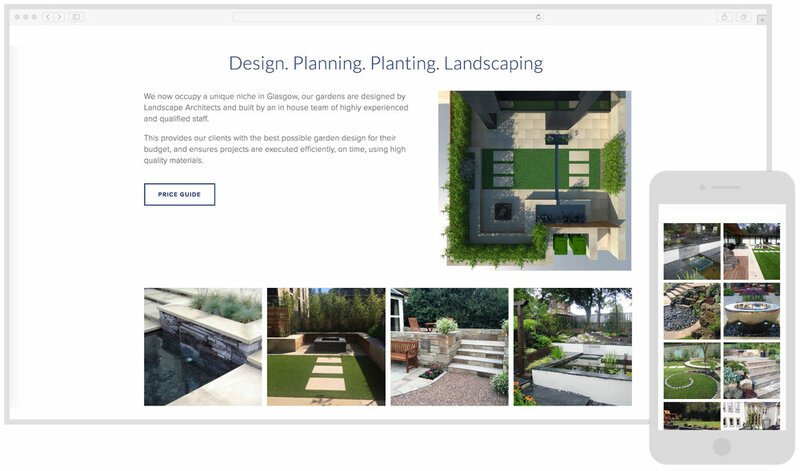 Landscape Gardeners and architects. Established over 25 years ago. "I have had a highly enjoyable experience from start to finish. I am unknowledgeable about website design, and they reassured me throughout with their high level of technical knowledge and design expertise and were also very patient with me during the process. Chris's online training was highly efficient and he took the anxiety I was feeling away. He also made sure the transition from my old website was smooth and ensured that I did not loose my Google Page ranking. I felt I was in good hands all along and I would have no hesitation in recommending Isoblue, it was money very well spent." - Susan Gallagher. Business owner.